The next big sports craze is about to hit Seattle Southside, Western Washington, and the United States! Major League Rugby is set to debut in the United States in Spring 2018, and Seattle Southside will be home to one of the first teams. 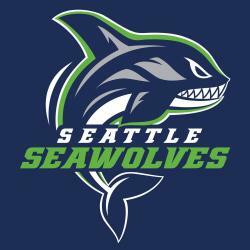 Say hello to the Seattle Seawolves! The inaugural MLR season will begin in Spring 2018, and the Seattle Seawolves will play their home games at Starfire Stadium in Tukwila. The Seawolves will battle teams from New Orleans, Houston, Austin, San Diego, Denver, and Utah. The organization is already making strides in the free agent market with recent additions to their roster including USA Eagles Star Shalom Suniula, Air Force Captain Eric Duechle, and Olive Kilifi. Tony Healy, the former head coach of the 2017 Canadian Rugby Champions British Columbia Bears, has been announced as the Seawolves head coach. The Seawolves organization is striving to become a force for good in the community. The team has emphasized a strong commitment to giving back to the community, as community outreach is a key tenant of the Seawolves philosophy. The team is also partnered with the Special Olympics of Washington. The fast growing and exciting sport is set to benefit from the red-hot Seattle sports market and the Seawolves should feel right at home at Starfire Stadium. Starfire is a short drive south from downtown Seattle, and tickets for games are reasonably priced. The games are sure to be fun for the whole family! More details are coming soon…in the meantime, check out their website here. We look forward to Major League Rugby and can’t wait to cheer on our Seattle Seawolves right here, in Seattle Southside!